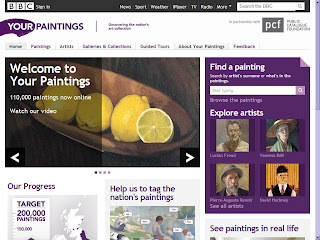 The free online database Your Paintings was launched last year. It makes available information on more than 100,000 paintings in public and private collections in the United Kingdom that are accessible to the public. The collections include not only art institutions but also for example local government offices, schools, almshouses, libraries and police stations. It is an online counterpart to the printed catalogues of paintings being produced by the charity The Public Catalogue Foundation. 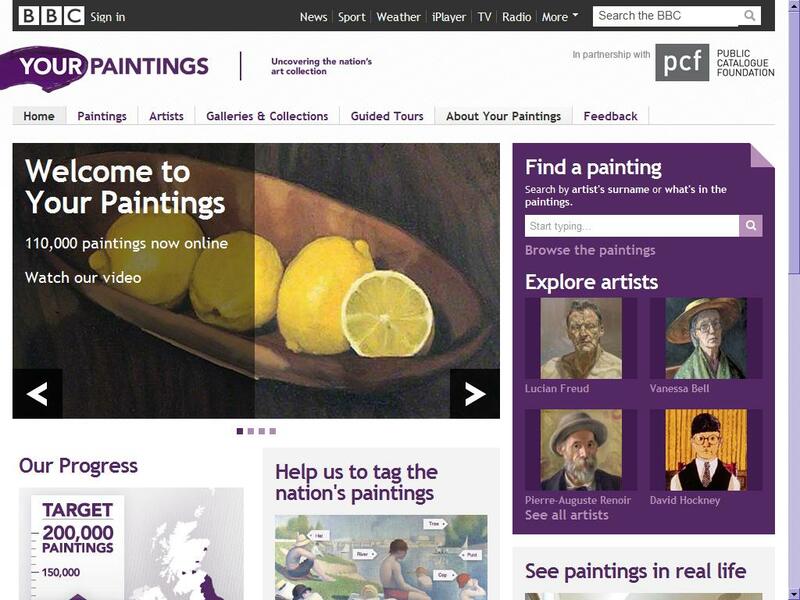 Indeed the data for Your Paintings are produced by staff of The Public Catalogue Foundation in collaboration with the contributing institutions, while the website is hosted as a public service by the BBC. The database is expanding towards its estimated target of 200,000 paintings. 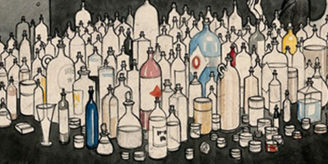 This week saw the addition of around 7,000 paintings including 1,291 items from the Wellcome Library. The others added this week include paintings from four other collections in the London Borough of Camden (Royal Free Hospital, Central Saint Martins College of Arts and Design (no longer in the City of Westminster but now in its spectacular new home at 1 Granary Square, Kings Cross); the London Borough of Camden collection; and Sir John Soane’s Museum) and from seven Liverpool collections forming the National Museums Liverpool. Five other Camden institutions (British Library, British Museum, Royal College of Physicians, the Foundling Museum, and the Zoological Society of London) will be added shortly, while others such as SOAS, the London School of Hygiene and Tropical Medicine, UCL, and UCL Hospitals Arts, are already there. Although the Wellcome Library has contributed catalogue data to many other online union catalogues (COPAC, the Karlsruhe Virtual Catalogue (KVK), the National Inventory of Continental European Paintings, OCLC WorldCat, etc. ), the Your Paintings database is at present probably the best source from which to display online images of paintings in the Wellcome Library. 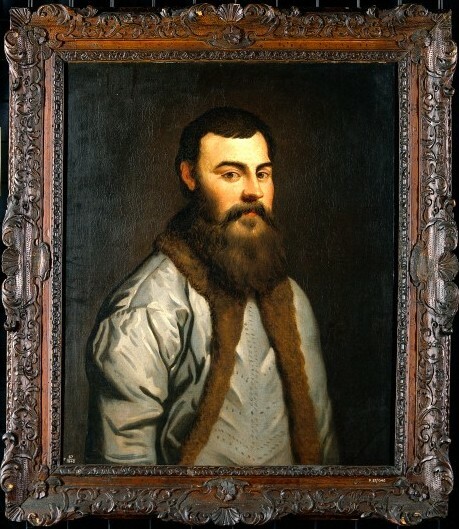 The cut-off date for inclusion was April 2011: new acquisitions after that date (eight paintings so far) are excluded, as are new attributions and identifications of subjects; it may be possible to add them later. They are of course included in the Wellcome Library catalogue. For most people looking at the database there will be surprises. From the Wellcome Library‘s point of view, the great revelation of the database is the ability to find related paintings in other, hitherto unfamiliar, collections. For instance our neighbour UCL Hospitals have a version of the same Venetian portrait (long regarded as a portrait of Andreas Vesalius) as the Wellcome Library (above left and right). Finding other works by relatively obscure artists could not be easier. 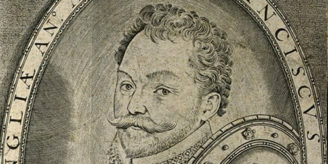 The Wellcome Library has a portrait (right: no. 47408i) of William Russell, a Worcestershire worthy, painted by one Stephen Hewson (fl. 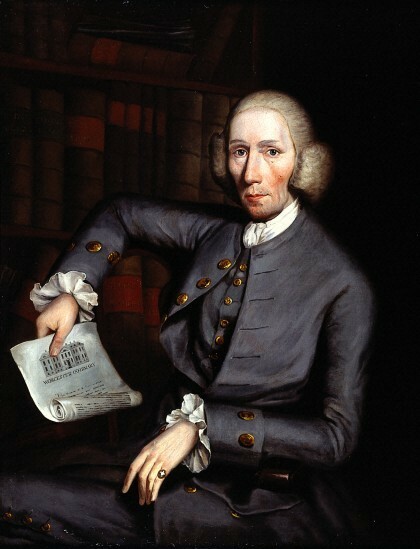 1775-1812): Your Paintings reveals Hewson’s itinerant life by showing ten portraits by him from Canterbury, Deal, and Dover, and one of the actor Tate Wilkinson (1739–1803) painted in York. Negative evidence is also useful: we discover that the only two paintings in the database by the still-life painter Gian Domenico Valentino (fl. 1661-1681) are (so far) the two in the Wellcome Library. Many of the paintings shown here have never been photographed before, while others are the first online reproductions in colour. 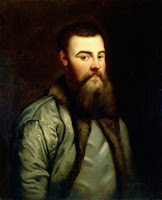 A notable example is the painting in the Royal Free Hospital of Dame Mary Scharlieb – Memsahib, gynaecologist, surgeon and Christian apologist—by Hugh Goldwin Riviere. The online image (left) portrays passionate commitment shining in her eyes and energy in her body-language. Her costume is also significant: she wears her MD gown while holding what looks like a pair of obstetric forceps. 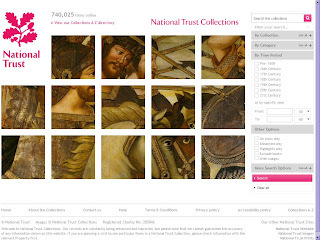 Another new free online database, National Trust Collections , currently has around 750,000 records, about the same as the Wellcome Library catalogue, but of course the items described are much more diverse and are housed in buildings all over England, Wales and Northern Ireland (Scotland has its own separate organization, The National Trust for Scotland). Like the Wellcome Library catalogue, National Trust Collections interfiles records for books (around 190,000 records), prints, photographs, and paintings, but also for scientific instruments, ethnographic objects and other things. Like Your Paintings, it is well worth a bookmark on the computer of any historical researcher.